Terex Corporation (TEX): Are Hedge Funds Right About This Stock? There are several ways to beat the market, and investing in small cap stocks has historically been one of them. We like to improve the odds of beating the market further by examining what famous hedge fund operators such as Carl Icahn and George Soros think. Those hedge fund operators make billions of dollars each year by hiring the best and the brightest to do research on stocks, including small cap stocks that big brokerage houses simply don’t cover. Because of Carl Icahn and other elite funds’ exemplary historical records, we pay attention to their small cap picks. 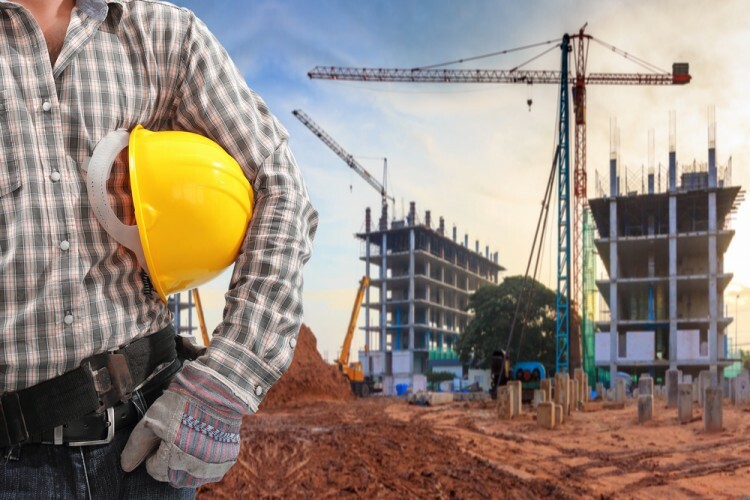 In this article, we use hedge fund filing data to analyze Terex Corporation (NYSE:TEX). Terex Corporation (NYSE:TEX) was in 25 hedge funds’ portfolios at the end of the third quarter of 2016. TEX has experienced a decrease in hedge fund interest of late. 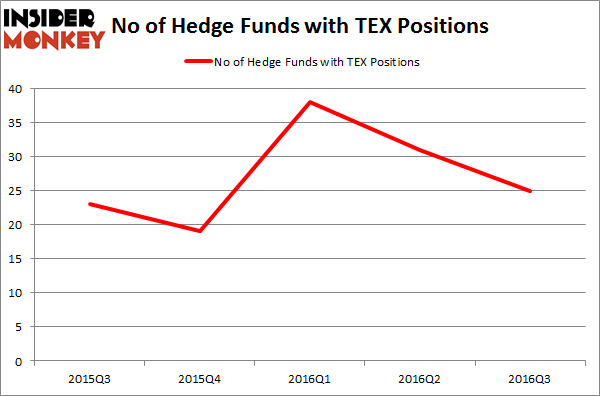 There were 31 hedge funds in our database with TEX holdings at the end of the previous quarter. The level and the change in hedge fund popularity aren’t the only variables you need to analyze to decipher hedge funds’ perspectives. A stock may witness a boost in popularity but it may still be less popular than similarly priced stocks. That’s why at the end of this article we will examine companies such as Rowan Companies PLC (NYSE:RDC), Cavium Inc (NASDAQ:CAVM), and Washington Federal Inc. (NASDAQ:WAFD) to gather more data points. Now, let’s take a look at the recent action surrounding Terex Corporation (NYSE:TEX). What does the smart money think about Terex Corporation (NYSE:TEX)? At Q3’s end, a total of 25 of the hedge funds tracked by Insider Monkey were long this stock, a drop of 19% from the second quarter of 2016. With the smart money’s positions undergoing their usual ebb and flow, there exists an “upper tier” of key hedge fund managers who were increasing their stakes significantly (or already accumulated large positions). When looking at the institutional investors followed by Insider Monkey, Richard S. Pzena’s Pzena Investment Management has the most valuable position in Terex Corporation (NYSE:TEX), worth close to $185.3 million, accounting for 1.1% of its total 13F portfolio. The second largest stake is held by Citadel Investment Group, managed by Ken Griffin, which holds a $43.6 million position; the fund has less than 0.1% of its 13F portfolio invested in the stock. Remaining members of the smart money that hold long positions encompass Richard McGuire’s Marcato Capital Management, Dmitry Balyasny’s Balyasny Asset Management and Alexander Mitchell’s Scopus Asset Management. What Smart Money Thinks About The Walt Disney Company (DIS)? Here is What Hedge Funds Think About Danaher Corporation (DHR) Is Rite Aid Corporation (RAD) Worthy of Your Portfolio? Is Johnson Controls International plc (JCI) a Good Stock To Buy? Should You Buy Eli Lilly & Co. (LLY)? Does F5 Networks, Inc. (FFIV) Represent a Good Addition to Your Portfolio?